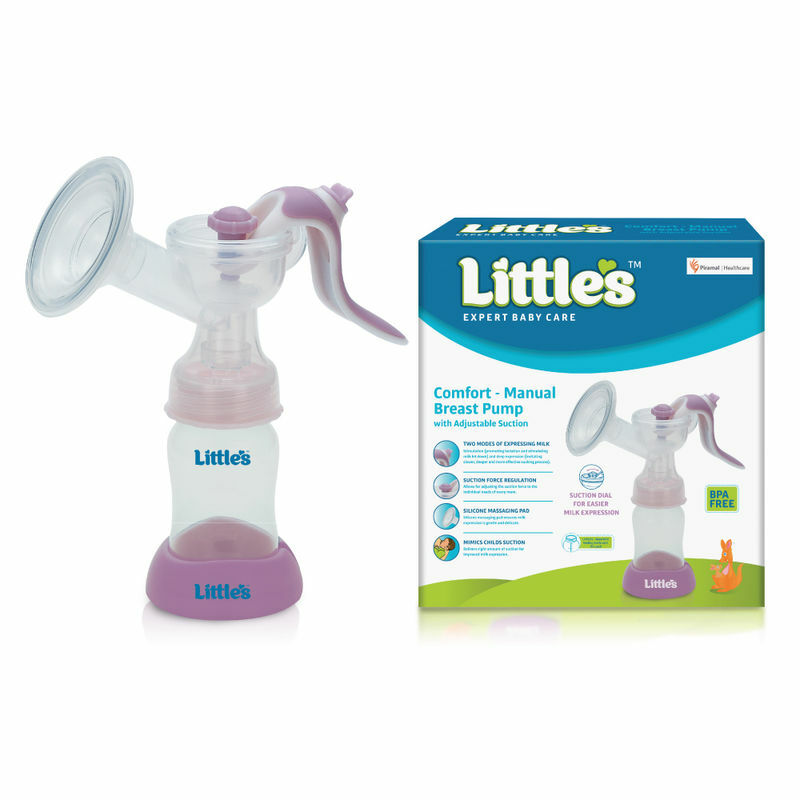 Little's Manual Breast Pump helps nursing mothers feed their babies with ease and with a lot of convenience. Little's Manual Breast Pump comes with SFR Technology (Suction Force Regulation), which allows you to manually adjust its suction levels according to your own need. With Stimulation (promoting lactation and stimulating milk let down) and Expression mode (imitating slower, deeper and more effective sucking process) this manual breast pump imitates natural process of expressing breast milk. Additionally, the Silicone Massaging Pad ensures milk expression is gentle and delicate, while the pump is designed to mimic the child's suction technique, which delivers the right amount of suction for improved milk expression. Explore the entire range of Breast Pumps available on Nykaa. Shop more Little's products here.You can browse through the complete world of Little's Breast Pumps .